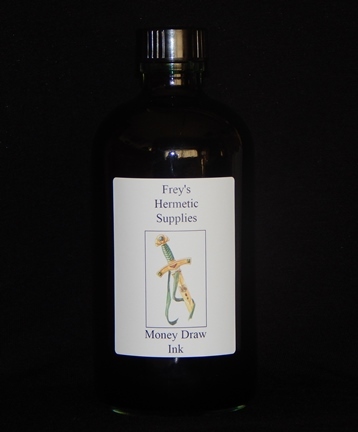 Infused inks for petitions and spells, parchment, quills, scrolls and more. Anything you need to write a propper spell, ritual, or petition. Use when writing rituals, spells, creating talismans, writing petitions, or when writing in your Book of Shadows. Use when writing spells for love, romance, reconciliation, or fidelity. Use when writing spells for harm, spells for revenge, or destruction spells. Used in petitions or spells to attract love, marriage, partnerships, social affairs, and friendly relationships. Perfect for spells, rituals, petitions to deity, or any important writings needed for ritual. In both Hoodoo and Ceremonial Magick, it is custom to use feather quill pens from a dove to write out spells. Use when writing spells for harm, spells for revenge, or destruction spells. In both Ceremonial Magick and Hoodoo, it is the custom to used a black feather quill pen to write out spells for destruction and revenge. Use when writing spells to attract money, success in business, and prosperity, or any desire that relates to the material plane or financial gain. Writing out Magickal Spells has great traditional value across Europe and the Middle East. The strongest petitions and spells were written out in blood. The types of blood used by the witch or magician would vary based on purpose. The sacrifice of a dove for love, or a bat for revenge and curses. The magicians own blood or bodily fluids may even be used to seal a pact. In spells for power and protection, Dragon's Blood Resin would be used as an ink or infused in the ink. Add more power to your spells by choosing a proper ink!